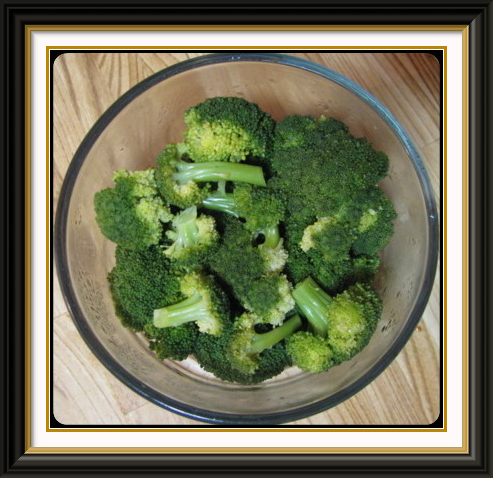 After my plant-based dinner, I have fallen in love with steamed broccoli! You may be incredulous. If you are, I understand. We're talking about steamed broccoli here, with a dash of sea salt. Doesn't sound very interesting, does it? But for some reason, my taste buds started dancing a very merry jig as soon as I ate it! The texture, the flavour, everything was so amazing-tasting that I literally said, "MMMM!" which surprised me! But hey, I'm not about to say no to my taste buds--broccoli is VERY good for you! Did you know that broccoli is the most nutrient-dense of all vegetables? Tasty, lots of nutrients, and may end up saving my life? Well then--bring on the broccoli!! You don't have to tell ME twice!